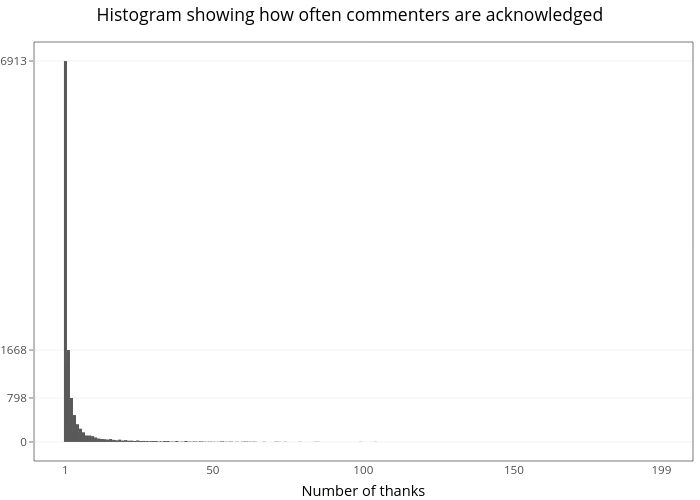 Michael-e-rose's interactive graph and data of "Histogram showing how often commenters are acknowledged" is a bar chart; with Number of thanks in the x-axis. The x-axis shows values from -9.45 to 209.45. The y-axis shows values from -345.65 to 7258.65.